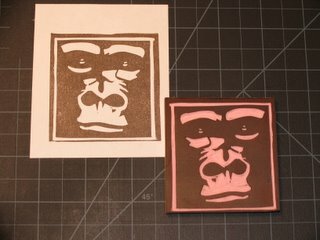 These three stamp's have been on my mind for a week -- and I finally carved them today. 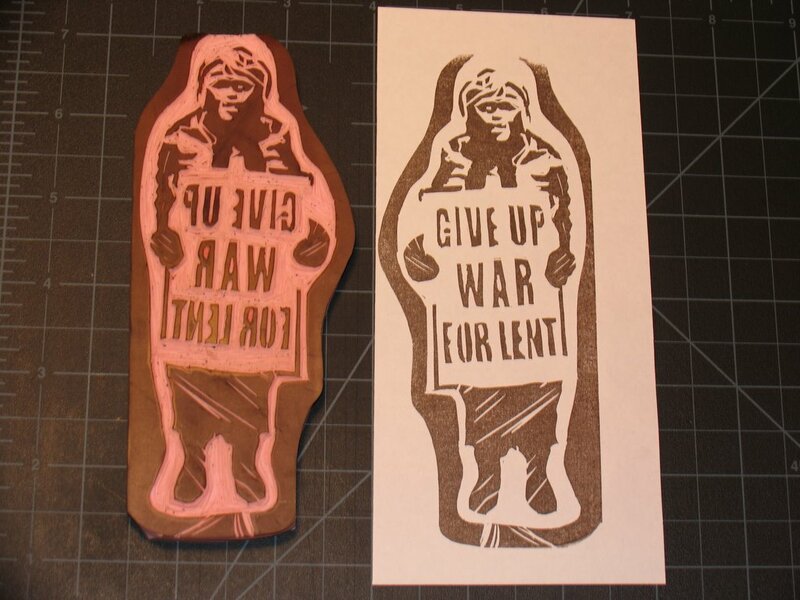 3) Give Up War For Lent (my personal favorite). I start carving and I can't stop! So, whatcha think? Leave me a comment. Jolene my sista, you MUST start selling these and may I PLEASE be your first customer! I love love love the detail that you put in your carvings. The simplicity of the birds really grab me! I LOVE IT! Please, email me about this. I want to buy it or another one, if you'll carve it. 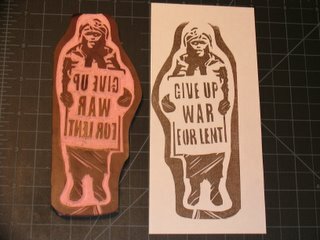 I also am taken by your "give up war..." stamp. I must also buy one of those. Yeah, I know, it's not for sale WELL, GIRL, start carving again! In honor of St. Joseph the carpenter, I think I'll start calling you "ST. JOE!" What do you think about that? Yes, as tired as I am, I can still dish out the wit! LOL! EMAIL ME ASAP! MijaLinda...first of all THANK YOU for your rave reviews of my first attempts at carving! Your positive feedback keeps me keeping on! 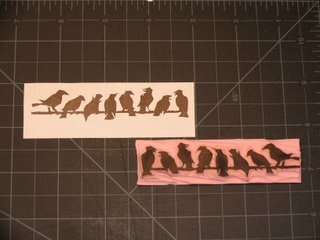 I am not at liberty to sell these particular designs. They are copyrighted by the various artist's. 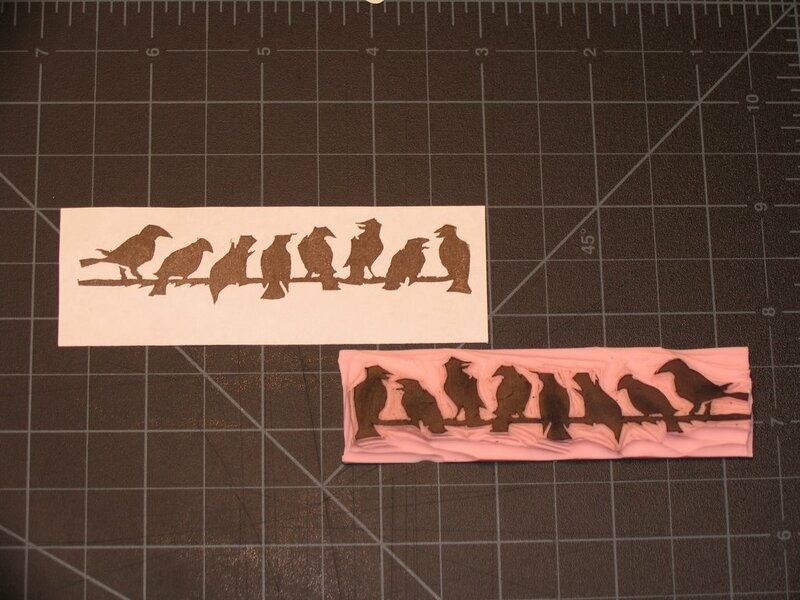 I have simply chosen these designs to utilize as I am learning the craft. 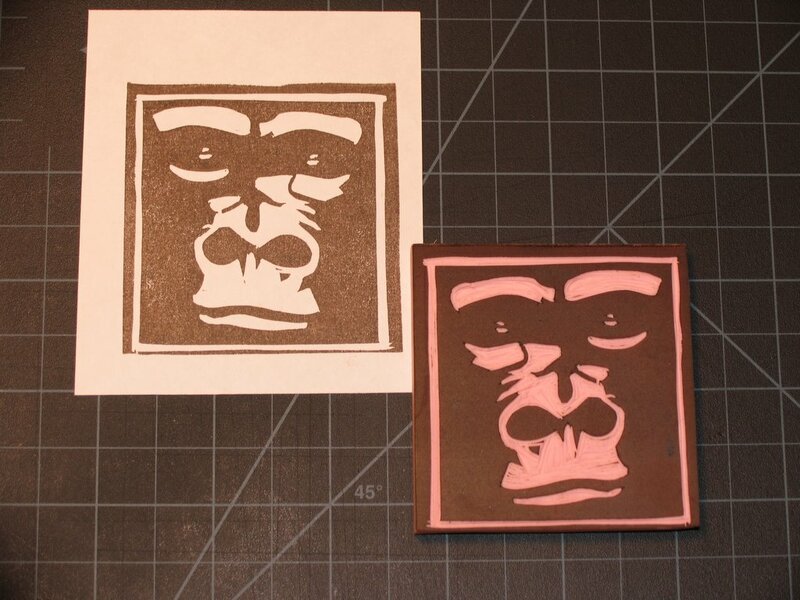 We will talk about designing some specific stamps to use in your art! Bless you child! Anything you can contribute to make my art stand out is much appreciated. Looking forward to your future creations!